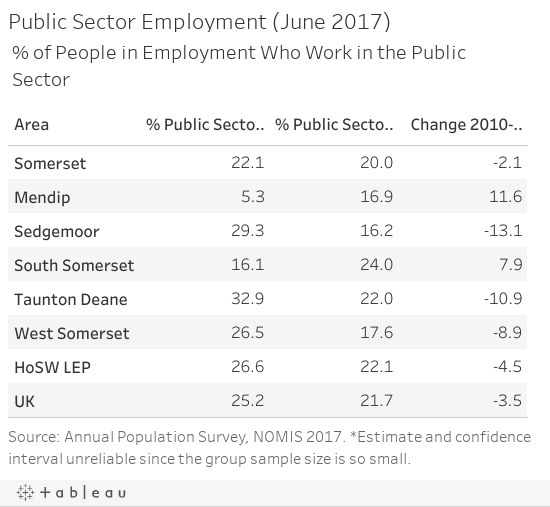 The largest occupation group in Somerset are professional roles (19.2%), compared to 20.3% at a national level. 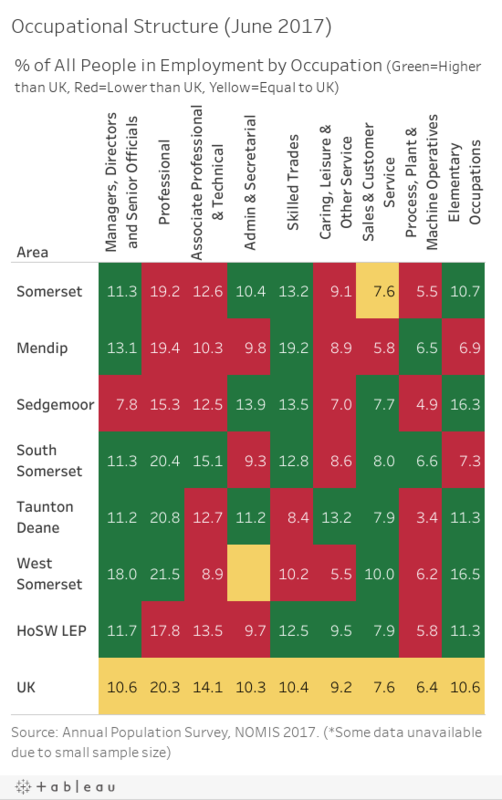 Skilled trades are the next strongest group with 13.2% West Somerset had the highest proportion employed within Managers, directors and senior official sector with 18%. 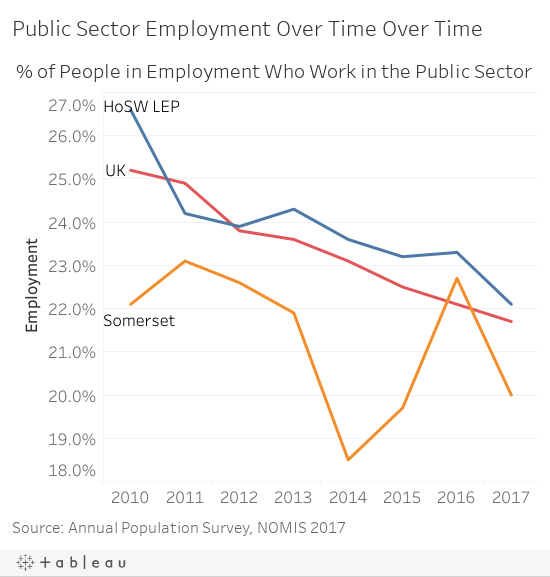 Average earnings in Somerset consistently lag behind the UK level. However, Sedgemoor has the lowest with £26,031 median earnings. Taunton Deane was the only district in Somerset which had a fall in average earnings over the year. NB: The median is the value below which 50% of employees’ earnings fall.